It feels exactly like my last few weeks, when I’ve been groping toward a light I’m not even sure exists. Sometimes, I call this activity pleasure. At other times I call it madness. Occasionally it’s like pain, but really, that term is indulgent. It isn’t real pain. It’s only frustration – a sense that I’m not big enough or smart enough for the task. 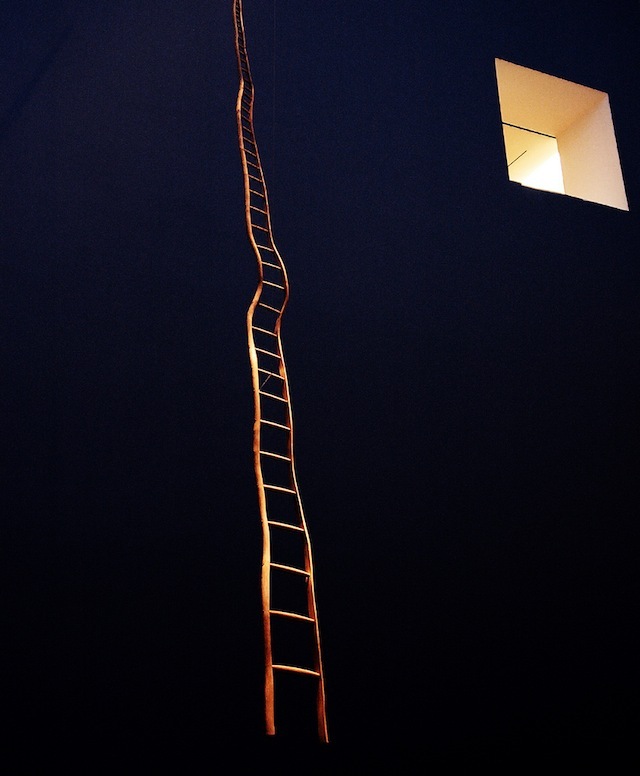 I have to learn to trust that the ladder I’m climbing, flimsy as it might be, will ultimately lead me to my destination. I have to trust that the light shining from that window up there to my right is the one that will illuminate my story. I have to trust that when I look in that window, it will be just as I imagined – even if I didn’t know what I was imagining. I have to trust that I am writing my characters home. So the destination – if it actually exists at all! – is trust. And what I need is trust. It’s a conundrum, this writing caper. Its ways are mysterious and oppressive, expansive and solitary. It’s a kind of lunacy sometimes. And tonight, they’re predicting a Super Moon. Maybe I’ll go out into the dark and howl at it! May you be standing on a clear straight path in bright sunlight, with a map in your hand and plenty of stamina in your legs. May the roadsigns be clear and the going easy. May you find your way home before dark. I can see a very pale glow only – through the grey streaming darkness outside. It tells me that the Super Moon is super shy, alas! Unless this extraordinarily wet and stormy weather should suddenly clear – I think we shall not see the vision you have posted above. In fact there is a news story just now about this non-appearance on the ABC – from Freshwater – just to to the north of Manly. I haven’t howled – leaving that to the wind! Funny, Jim! I suppose we have to be grateful for the rain, don’t we? 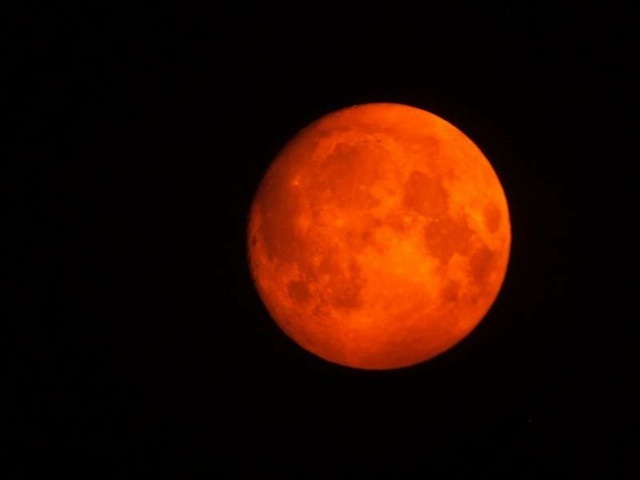 But I was rather hoping for a great big fat red moon, just so I could call it a sign – of something! Maybe I’ll call the rain a sign anyway – a promise of good crops ahead. Have a howl anyway. Good for the spirits! So that was YOUR super moon! Nature just won’t be pinned down. Quite right too. I love a weather forecast, but I quite enjoy it when it is wrong! Even as in the East so here in the West, the moon is playing hide & seek. Maybe this is like the writing caper – the thoughts are there then hide away for a bit. Could you be gathering the insights needed to get to the end-game. Here’s hoping …. Oh yes yes yes. Here is hoping. Thanks so much Cas. Fingers are crossed. Thanks for your support and encouragement. Isn’t that image astonishing? I’m so glad you love it too. And yes, maybe the faith in the moon is more important than seeing it sometimes. We know it is there behind the clouds. Just have to wait and watch. And hope that maybe it is visible to someone who needs to see it more. I have a similar one of a painting called Rose Garden by Lisa Adams, which I found at the ‘Optimism’ exhibition in Brisbane in 2008, with a woman climbing a thorny ladder all the way into clouds. This image has been inspiring my writing. I like yours too with the addition of the ‘window’. You’ve made me curious to find out what you’re writing now. I trust it will be good. That sounds so beautiful, the climb up the thorns. Aren’t visual artists extraordinary? One image. A million interpretations and discoveries. Beautiful. What I’m writing is revealing itself little by little but I’m still uncertain about what it will be. Much of it is in the Gascoyne though so I guess it is somehow a homecoming! Hope yours is going wonderfully. Thanks for visiting. Oh,and before you get on that ladder,walk over into that dark corner and do a little investigating first,because all good architects must have fire escapes built into the plan. That ladder may look like the obvious path to that upper window of light,but with a bit of faith used in dark places,you’d be surprised by what you may just find and how much easier that path might be in the end,compared to the ones who weren’t prepared to look into their dark places and triumph. Brilliant advice Darren!! Brilliant. Desirelines in the dark. I love it and am going to try to trust that I won’t fall. Thanks! The books sound enticing. The moon remains elusive. Maybe I need to step to the right to see it too. Wow you are a reader! Enjoy theRedBook. I wrote a post yesterday about Scallop Dreaming. I thought of you walking the way,after I had written it. It sort of ties into this post of yours on trust. It’s lovely. Wonderful notions and observations. WHo knew the scallop was such a wanderer?